A point fixed system uses stainless steel pins bolted through pre cut holes in the frameless glass panels. The glass is extended below ground or decking level before being fixed in place by the bolts. Fixings come in round disc or square profiles with polished or satin finishes. A mini post system uses small robust stainless steel posts to support the glass panels. They bring a minimalistic, classic combination of stainless steel with frameless glass. We can install a couple of styles, depending on the application or your personal preference. Our channel system is a simple and effective method with clear lines and specifications that allow for relatively long panels of glass to be used. A channel balustrade can be face-fixed or down-fixed and is a great option for capturing the frameless look of glass and keeping costs down. The channel can be powdercoated to suit the colour of your deck. Aluminium posts and clamps are used to support glass panels in this traditional fencing system. These are well suited to environments where a top rail is also required, such as balconies and stairways. Post balustrades are available in various colours and finishes and are the most wallet friendly option. Our interlinking rail system consists of toughened safety glass with an rail connected to each pane of glass and also to the building. The advantage of toughened glass in this application is that it is stronger than ordinary float glass and breaks in a safe manner. 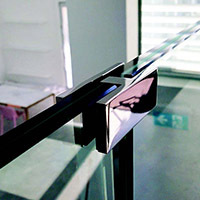 A top edge rail capping (or handrail) protects the edge of the glass but in the unlikely event of the glass breaking the glass will fracture into small safe fragments. Contact us for more information and pricing on our balustrade systems. If the glass breaks, glass fragments remain held in place, firmly bonded to the interlayer. Any of the previous styles can be made from clear, opalescent, bronze tinted or grey tinted safety glass. Additionally balustrades can be modified with a frosted screen print for additional privacy without totally blocking out light. Opalescent laminate (translucent white interlayer) comes in different grades altering the amount of light allowed to pass through the glass. Ask us for more information on grades available. Screen prints can be made to custom shapes, sizes, designs or graphics. * Estimated lead time based on standard pricing model. In some standard panel systems costs can be reduced, but the lead time is extended for importing glass. Initially you must get a drawing done specifying for your deck specifying types of fixings and materials used (including the brands) so a permit (PS1) can be issued. The second step would be to have a Haynes consultant visit the site and measure up for a quote. On acceptance of the quote we fabricate the glass to size, make site visits to install the fixings and then return to install the glass. A certificate of compliance (PS3) is issued on completion. We can aid you with any of the technical details throughout the process. From measure to installation, the process generally takes approximately 15 working days depending on the size. Which types of fixings can I use? The balustrading systems we sell at Haynes are channel, full height post, point fixed disc and mini posts. All can be down or face fixed and made with custom size panels. There is however a length limit depending on the type of system, the positioning and the wind load. Fixing spacings are dependent on the width of the glass. What types of glass can I choose from? 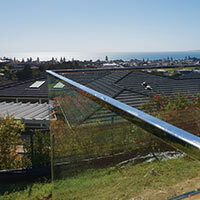 Most balustrades you are likely to see around are in clear safety glass, but there are options. We can offer balustrades in tinted, frosted, partially frosted and ultra clear. 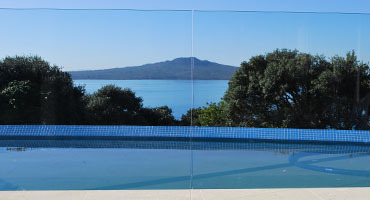 All different glass types comply with the NZ building codes. Our balustrades are custom made to precise sizes and the various systems can work out quite different in their cost, so we price them on a job by job basis. 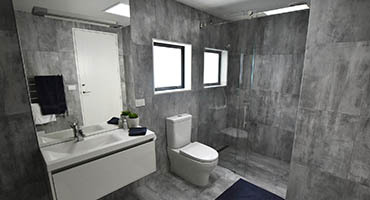 Contact us with your ideas, or arrange a free consultation for an accurate quote. Keen to discuss a new project?